The Reading Room in Elmsett, near Hadleigh, Suffolk sleeps 4 people. The Reading Room near Hadleigh is a detached, former village hall with a large fireplace and wood burner which has vaulted ceilings making the open plan living/dining room feel light and airy. The cosy, well-equipped kitchen is located up two steps onto the former stage. The master bedroom, twin bedroom, bathroom and separate toilet can be found behind the kitchen, down a further 2 steps. Elmsett is a village located 3 miles north-east of Hadleigh in Suffolk and boasts a local pub, opposite the village green and a large chestnut tree stands where once the village smithy had its forge. The historic market town of Hadleigh is situated next to the River Brett. Guthrum, King of the Danes, is said to be buried in the grounds of St Mary’s Church. The Hadleigh agricultural and rural show is held in May each year. It was first held in 1840 and known as ’The May Show’ and is one of the oldest one-day agriculture shows in East Anglia. RSPB Wolves Wood is located 2 miles away and is one of seven ancient woodland areas that used to cover East Anglia. A wide range of birds can be seen all year round including nightingales and spotted woodpeckers. The shop, pub and restaurant are all 800 yards from The Reading Room near Hadleigh. Living/dining room: With wood burner, 42’’ Smart TV, vaulted ceiling and wooden floor. Kitchen: Farmhouse style with electric oven, electric hob, microwave, fridge and washing machine. Bedroom 1: With super king-size bed. Electric central heating, electricity, bed linen and towels included. Initial fuel for wood burner included. Travel cot and highchair. Welcome pack. Small enclosed courtyard with patio, garden furniture and barbecue. Bike store. Private parking for 2 cars. No smoking. Holidays at The Reading Room run from Saturday to Saturday. Pets allowed at The Reading Room. For a better idea of where The Reading Room is, you can see The Reading Room on the map below. The Reading Room is in Suffolk; should you be on the lookout for a special offer, you can find all the special offers in Suffolk. It's always worth checking to see what is on offer at the moment. 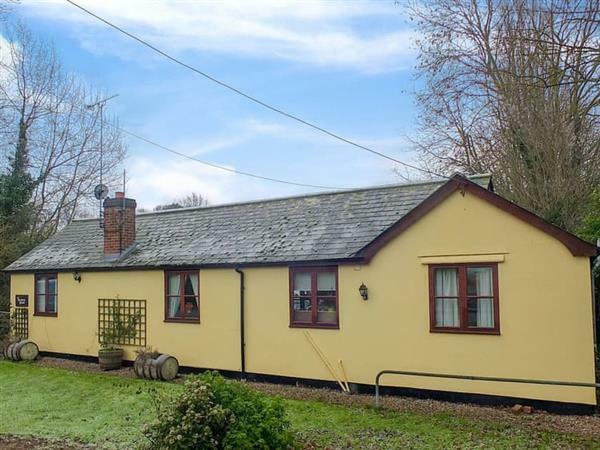 Do you want to holiday near The Reading Room (UKC3937), you can see other cottages within 25 miles of The Reading Room; have a look to find your perfect holiday location.